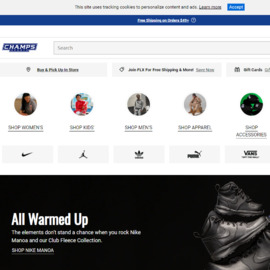 Champs Sports is the one-stop shopping sports superstore! Featuring brands such as: adidas, converse, puma, mizuno, and many more! Click a Coupon or click Start Shopping to earn 3.5% Cash Back at Champs Sports.